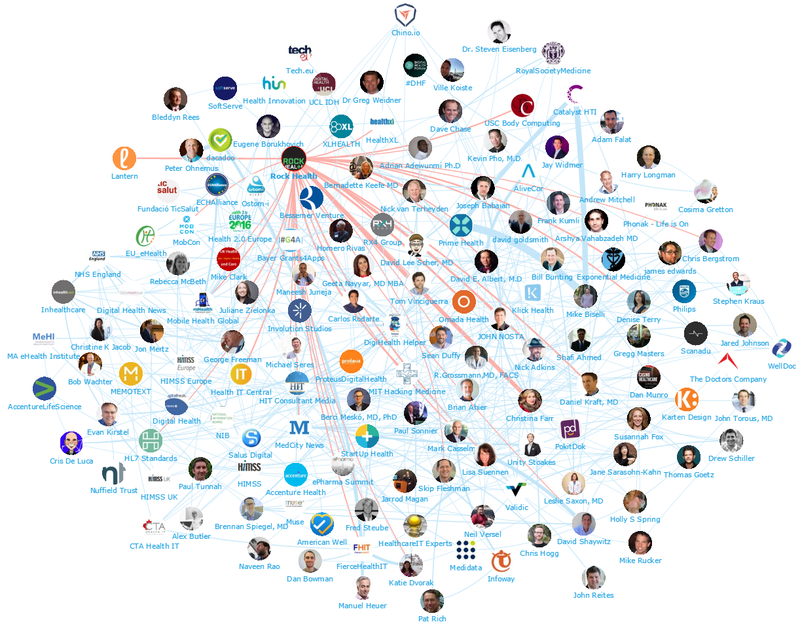 Happy to be among the top 100 influencers and brands shaping the online dialogue around Digital Health in 2016. It’s interesting to note that the most popular topic among the digital health influencers is Data with a 25% share of voice, proving that clinical data and its consistent use is critical to the success of digital health. IoT was the 2nd most popular debate driver illustrating the importance of connectivity with digital heqalth devices. Mentions of Wearable Tech received a significant 16% share of voice highlighting the importance of self care among patients using wearable health devices. Other frequently mentioned topics among the top influencers included Apps, Cancer and Artificial Intelligence which all received a similar share of voice (ranging from 7-9%), followed by mentions of Cyber Security with 6%, and Telemedicine with 5%. Genome and Fitness both received a with 3% share of voice among the top digital health influencers and brands.